“The servant–leader is servant first… It begins with the natural feeling that one wants to serve, to serve first.” – Robert K. Greenleaf. It must have been around 1982 when I first read the book, Servant Leadership. I had read Greenleaf’s essay, The Servant as Leader, sometime in the 1970s and it had quite an impact on my thinking about life, work, ministry, service, and leadership. I used to carry the pamphlet with me all the time, and read it regularly. I suspect I could benefit from refresher training. The purpose of this article is to provide information about servant leadership, why it is important, and to consider if servant leadership could be beneficial for your team and your team resource management practices. 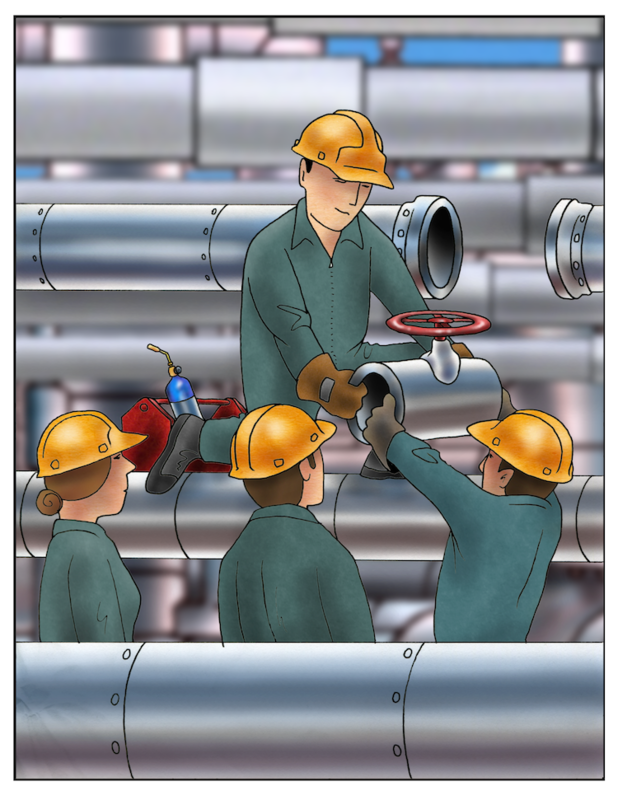 Servant leadership was not a concept in vogue at the pipeline company where I worked. We did not talk about leadership, only supervision and doing what the bosses said. I was not a manager anyway, yet I seemed to have some influence with my coworkers. I believed it was more important to serve than to be served. And I believed one could demonstrate leadership even if one did not have an official managerial position. I still believe in servant leadership and I believe in leadership through influence, even if one has no organizational authority. I want to encourage each of you to be influential in positive ways; no matter what role you have on the team. In these monthly articles, we have looked at these six elements of Team Resource Management (TRM). 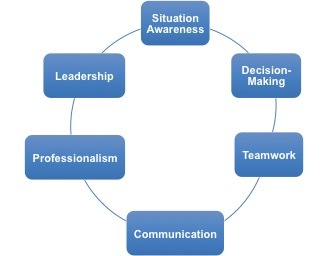 Leadership competencies are necessary in situation awareness, decision-making, teamwork, communication, and professionalism. If you are a member of a team in a pipeline company, you need to demonstrate leadership and to develop your abilities. Have confidence in yourself and your influence with others who work with you. In chapter one of Servant Leadership, Greenleaf provides historic examples of servant leadership and illustrates twelve characteristics of a servant leader. I will not try to cover all of those characteristics in this article but will provide a perspective on five that should be integral to Team Resource Management. Those five are initiative, awareness, persuasion, foresight, and building a community. There is an old gospel song that contains this line, “Open up your heart and let the sun shine in.” The characteristic of awareness is when we open up our heads, heart, and all our senses to get the best perception and understanding of what is going on with the people, in the environment, and from the equipment that we use to do our work. A servant leader is able to filter out what is least important and determine what is most important at the time. This increases one’s alertness, enhances one’s understanding of the current situation, and adds to the store of knowledge about the work experience. There is a concept about the theory of weak signals, or the need to pay attention to both threats and opportunities in a system or a business. 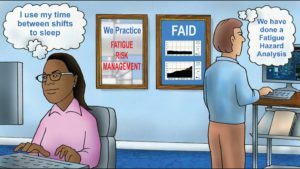 A person who has developed awareness is adept at recognizing weak signals, such as near misses, and acting upon those signals to prevent incidents. Continuing the theme of old songs, there is an old country song titled “Almost Persuaded” and there is an old hymn by the same title. One is about being almost persuaded to cheat on a spouse; the other is about being almost persuaded to accept a faith relationship. A servant leader practices persuasion, often on an individual basis and through gently and simply asking questions or providing answers to the same question over and over again. If a leader has a clear vision and a powerful mission and strong values, it does not matter if he or she is communicating messages to a large group or to an individual. Persuasion works best when it is done without criticism or coercion, but with conviction and concern. Most people do not have the patience for persuasion, but a servant leader is willing to take the time to listen to people on the team and then address their concerns. This is done while always remaining true to the mission and adhering to the values. Do you have foresight? Foresight for the servant leader, according to Greenleaf, means “regarding the events of the instant moment and constantly comparing them with a series of projections made in the past and at the same time projecting future events.” A person with foresight is first an historian who knows what has happened in the past, even just now. Then he or she is an analyst who can observe what is happening right now and make sense of it. How many events occur in a control room at the instant moment? 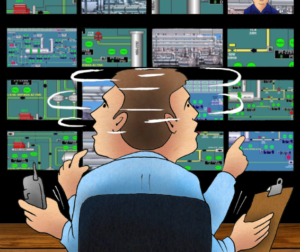 We can examine SCADA logs to see what happens at any particular time – the events, the actions, the alarms, etc. While that certainly provides one way to know what happened in the past and to analyze what happened in the just now or the past now, foresight requires more than that examination. A person with foresight is also a prophet, who can tell from the past and the present what is likely to happen in the future. How many prophets are there in your control room? If you have any, are they honored or rejected? A person with foresight is not interested in either honor or rejection, but in living in the now and providing glimpses into what is likely to happen in the future. Remember the servant leader is more interested in serving and helping others. Is the control room or your work group a community? If a community is a place where people have things in common, a control room might meet that definition. Don’t people use the same building, the same room, the same consoles, the same procedures, and the same equipment? But we know or hope that community goes deeper than just having common equipment and a common place to gather and to work. A community ought to have a common purpose, similar values, and shared goals. The members of the community should care for one another, dare I say it even love one another. A servant leader builds a community through demonstrating concern for both individuals and the group. This is done through actions and words. A servant leader who wants to build a community is willing to accept responsibility for the work of the group and the results of that work. Greenleaf mentions the preference in today’s world to limit liability through legal arrangements and risk assessments. He then states that a willingness for members of the community to accept unlimited liability for one another builds up, rather than tears down. Community building requires trust, respect, and ethical behavior. Are those present in your control room and in you? 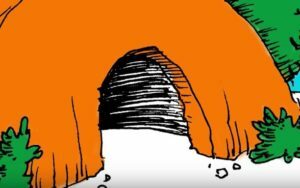 If this brief article has piqued your interest in servant leadership, I recommend reading the book or looking at information from the Greenleaf Center for Servant Leadership. Consider how servant leadership could be applied in your life and in your organization. I hope the twelve articles on Team Resource Management this year have been useful for you and that you are applying the information to improve teamwork and human performance in your organization. We are willing to provide Team Resource Management training. Contact sarah@pipelineperformancegroup.com for information.